The wait is over for Nitzer Ebb fans: The first new studio album in nearly 15 years from the reunited electronic/industrial act quietly went on sale at major U.S. digital music outlets in the past few days, even though an official worldwide release isn’t planned until January. 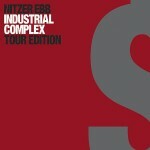 As tipped by Waveformless, the 12-track “tour edition” of Nitzer Ebb’s Industrial Complex — which the band has been selling on CD at stops on its current U.S. club tour — has been on sale since at least Thursday through the iTunes Music Store and Amazon.com’s MP3 store, although both outlets actually lists the album’s release date as March 9, 2010. The tour CDs and iTunes edition may, actually, be the only American releases of Industrial Complex, the band’s first new studio album since 1995’s Big Hit. Over the past year, the group has made no secret of its difficulties in finding a way to release the record. The Industrial Complex CD is due out Jan. 22 on Major Records in Germany, Austria, Switzerland, and is expected out elsewhere worldwide around that time. 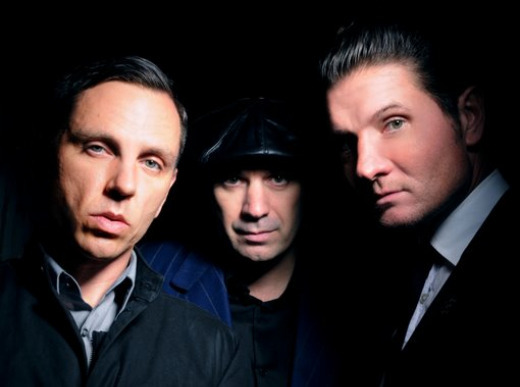 Nitzer Ebb is on the road in the U.S. through mid-December, and then will open for Depeche Mode throughout Europe in January and February. Video: Did Depeche Mode’s Dave Gahan really thank Chile while performing in Peru?